Size of this preview: 318 × 599 pixels. Other resolutions: 127 × 240 pixels | 892 × 1,681 pixels. This file has no description, and may be lacking other information. Files should have a summary to inform others of the content, author, source, and date if possible. If you know or have access to such information, please add it to the file page. 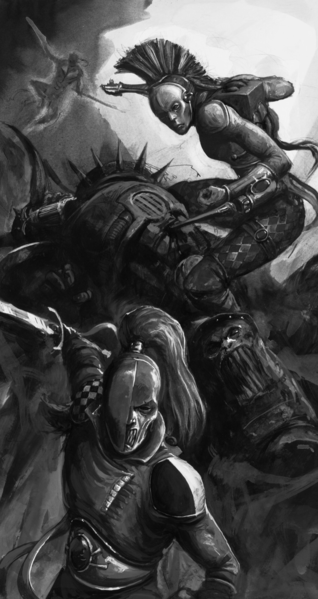 GwArt is merely an indexing tool to organise all the art done by Games Workshop. All content belongs to Games Workshop Limited. Please see below for appropriate copyright information. © Copyright Games Workshop Limited 2018. GW, Games Workshop, Citadel, Space Marine, 40K, Warhammer, Warhammer 40,000, the ‘Aquila’ Double-headed Eagle logo, Warhammer Age of Sigmar, Stormcast Eternals, The Horus Heresy and all associated logos, names, races, vehicles, weapons and characters, and the distinctive likenesses thereof, are either ® or TM and/or © Games Workshop Limited, variably registered around the world, and used under licence. All Rights Reserved. This file was uploaded with the UploadWizard extension. This page was last edited on 3 February 2019, at 21:46.